plot: Robert (Bertie Higgins) and Allan (J.D. Rudometkin) decide to add some excitement to their lives by taking up Harley riding. 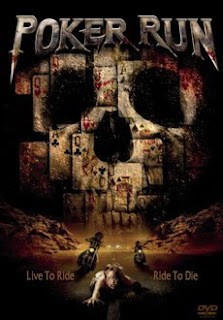 But things go south when two psychopathic bikers (Robert Thorne and Jay Wisell) kidnap their wives (Debra Hopkins and Jasmine Waltz) and force the men to perform horrific tasks to retrieve their spouses. Now they must enter -- and participate in -- a world of violence they couldn't have imagined in this bloody thriller.